November is not a big travel month in China. But for foreign visitors, it can be a really lovely month in which to see the Asian country. As far as crowds and fares go, it's less busy and more affordable. In October, you have the week-long public holiday for the People's Republic of China National Day, which makes travel more crowded and more expensive. And in December, it's already getting quite cold, especially in China's northern reaches. Therefore, November can be a relatively peaceful month. The mild weather in the central and south China regions is quite suitable for sightseeing and touring outdoor venues. You may even be able to take in some beautiful fall scenery as late as November. In fact, the gingko trees in Shanghai do not turn that gorgeous golden color until mid-November. The biggest disadvantage of November is that if you're planning travel in the north, even Beijing, then you are bound to experience some quite cold and winter-like conditions the later you get into November. 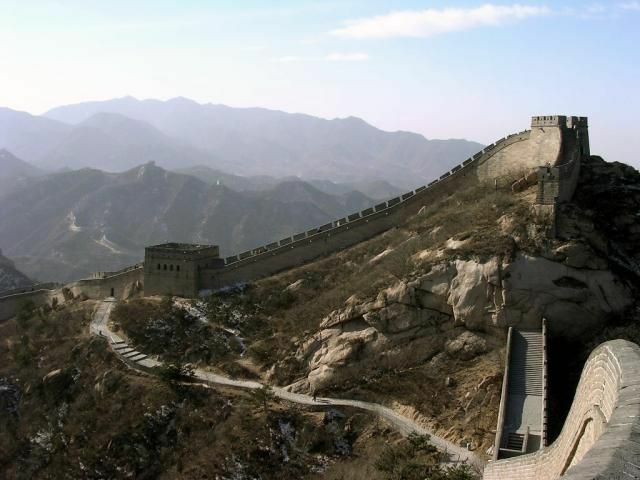 It might even be too cold to stay long on top of the windy Great Wall. China's weather in November is variable—as it is all year. Because it is such a large country, you will find quite different weather in each region. Northern China will begin to see some really cold temperatures in late November but the beginning of the month can still be warm enough for pleasant outdoor activities. Central and Southern China will still see moderate and comfortable temperatures so will be very nice for travel and outdoor exploring. Rain can vary depending on where you're traveling. Beijing is quite dry, experiencing four days of rain on average, whereas Guilin is wetter, averaging 10 rainy days in November. Layers are essential for packing in autumn and winter weather because you will want to be able to warm up or cool down, depending on what the weather is doing. So packing for your China trip should be pretty simple. North: It will be cool during the day and cold at night. A warm base layer and jacket are good for both day and evening. If snow is in the forecast, bring gloves, scarves, boots, and a hat. Central: It will be chilly during the day and cooler at night. A light-weight base layer with long sleeves/pants for the day plus a jacket at night should be good. South: It will still be quite warm. Early fall dressing is fine but bring something lightweight for the occasional cool evening or an air-conditioned room. November is a relatively quiet month across China but there are still a few festivals and religious ceremonies for travelers to enjoy. The Lhabab Duchen festival, held in mid-November, is a Tibetan Buddhist festival that celebrates Shakyamuni Buddha returning to earth after going to the 33 heavens to save his mother. The date falls on the 22nd day of the ninth month of the Tibetan calendar. In late November, some Chinese will celebrate the Palden Lhamo Festival. This festival honors the eponymous wrathful deity who was said to protect the main leaders of the Tibetan religion: the Panchen Lama and the Dalai Lama. Visitors to Barkhor, in Lhasa, Tibet, can see the worship of the famed goddess. The China International Import Expo takes place in Shanghai in early to mid-November. More than 150,000 Chinese and foreign professional purchasers from around the world attend. China observes Journalists' Day each year on November 8. While not a true holiday, the day commemorates those who work in the profession. Some people celebrate American holidays like Halloween and Thanksgiving, but these are not recognized as local Chinese traditions. If you want to hike the Great Wall, go early in November to see the foliage (and miss the colder, windy weather later in the month). The best places to catch the fall foliage include the Yellow Mountains, Zhangjiajie, Jiuzhaigou, and the Western Sichuan Province. Americans traveling to China need visas, which must be applied for in advance. Additionally, ensure that your passport is valid for at least six months after returning from your trip.